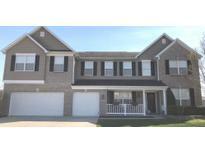 Below you can view all the homes for sale in the Wolf Run subdivision located in Indianapolis Indiana. 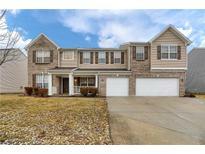 Listings in Wolf Run are updated daily from data we receive from the Indianapolis multiple listing service. To learn more about any of these homes or to receive custom notifications when a new property is listed for sale in Wolf Run, give us a call at 317-434-3867. Incredible 46x16 stamped/stained concrete patio w/pergola, outdoor grilling station, & bar top overlook wooded backyard, fire pit, & playset! Full basement plumbed... MLS#21631182. CENTURY 21 Scheetz. Hurry and bring your buyers as this home won't last long! MLS#21625780. CENTURY 21 Scheetz. Optional master or in law quaters on the first floor! First one in wins! MLS#21624308. My Agent. Nice, Quiet Neighborhood w/ Community Pool and Walking Trails for the summers! HOME WARRANTY INCLUDED ! MLS#21625476. Front Porch Real Estate, LLC. Master bath, stunning total remodel w/ double vanity, tub & large shower w/ marble tile, & marble tile floors. Don't miss! MLS#21613364. Sold It Realty Group.